Dog Panting and Shaking - What Does It Mean? 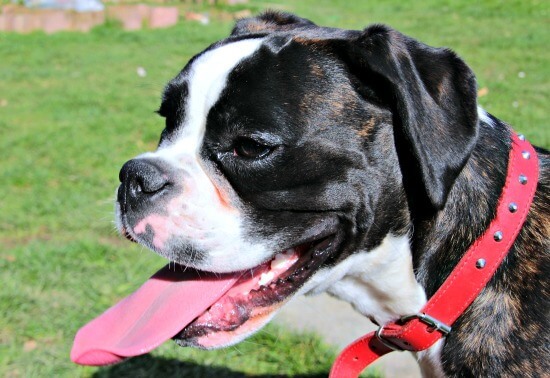 If your dog is panting and shaking it's safe to assume that something is wrong. But it's often not easy to tell whether Fido is shaking and panting due to something simple (such as being too hot or too cold) or something more serious (such as illness, pain or injury). The clues are generally seen in his physical condition, the situation and any other symptoms he may be showing. Excessive dog panting can be caused by several different things, some serious, some not. Dog Panting After Giving Birth? Dogs can also pant heavily after giving birth due to the exertion and stress whelping puts on their bodies. If your dog pants during labor, or for a few hours after all the puppies have been delivered, that's totally normal, and she should return to within about 24 hours. Panting that continues into the second or subsequent days, or seems to be worse when she's nursing (which is pretty much ALL the time to be honest) then have your dog examined by your vet quickly. It's possible that there's a problem internally that needs to be taken care of and is causing her pain or is infection is setting in. Sometimes it's easy to figure out why Fido is panting so hard! For example, if he's just played a vigorous game of fetch, been outside on a hot day, is taking a trip and feeling car-sick, it's 4th of July and he hates fireworks or he's in a situation that is making him nervous... then panting more than normal is... well..., normal. 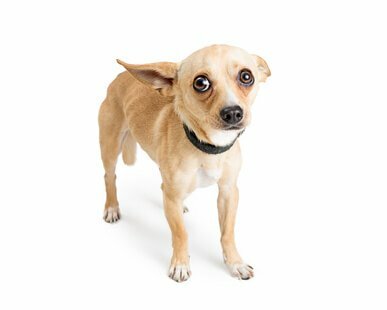 If he's scared your dog may also be shaking or shivering a little, if he's nauseous he may be drooling more than normal, but in these types of situation he generally doesn't appear to be ill or unwell, and looks/acts normally in all other ways. If your dog is panting and shaking you can use the above guidelines plus your knowledge of his recent activities and behavior to figure out what's causing the problem. If Fido is terrified of thunderstorms (or fireworks, loud noises etc. etc.) and pants and shakes whenever he hears them, this generally isn't something which needs veterinary attention. Treating the stress/anxiety which is manifesting itself in these symptoms with natural methods is often effective at reducing his discomfort and fear. Check out the Natural Remedies for Dog Anxiety on this page... Natural Remedies for Dogs, or try a Thundershirt or the new Thunderease pheromone products. Giving your dog a safe spot to get away, or hide, such as a covered crate or corner in a darkened room can also help. Low blood sugar, aka Hypoglycemia, which is most often seen in small and tiny breeds, CAN be serious, if not recognized and treated promptly. Not eating frequently enough is the most common cause of hypoglycemia in small dogs who need to eat much more often than medium and large breeds. The best thing to do if you notice signs of low blood sugar in your dog (panting, shaking, wobbly-ness) is to rub a little honey, maple syrup or Karo syrup onto his gums and/or put it under his tongue. Keep him warm. rested and encourage him to drink. If you don't see almost immediate improvement, take him to your veterinarian as either something else is wrong, or he needs more help than you can give at home. If your dog is just shaking, shivering or trembling, that opens up another range of other possibilities. Shaking by itself can still indicate nausea, excitement, fear, anxiety, pain or stress. It's also common in older and elderly dogs due to age-related muscle weakness, this is normal and although a vet visit is in order to check it out, it's not an emergency. If your dog is panting and shaking, or just shaking, and you're not sure why, or he's showing other symptoms or signs of distress/illness it's always best to get him to your veterinarian as quickly as possible. If he fits any of the emergency criteria above then this is a priority.